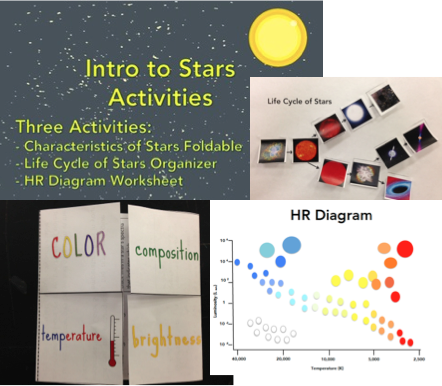 As a science & astronomy teacher (and a parent), I am always on the lookout for quality interactive lessons for my students and children. I love activities that allow for inquiry and imagination. During my 14 years of teaching I have developed many of my own resources. 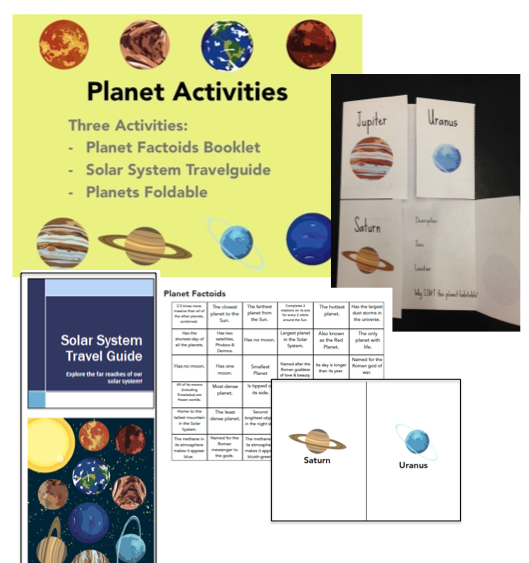 You will find that many of these hands-on activities can be modified for third grade through ninth grade. If you use any of these resources, I’d love to hear your feedback in the comments! If you have any problems with your purchase, please email me at liebacklookup@gmail.com. Interactive Science Notebook Resources— free! All three activities include instructions and student handouts, in full color. 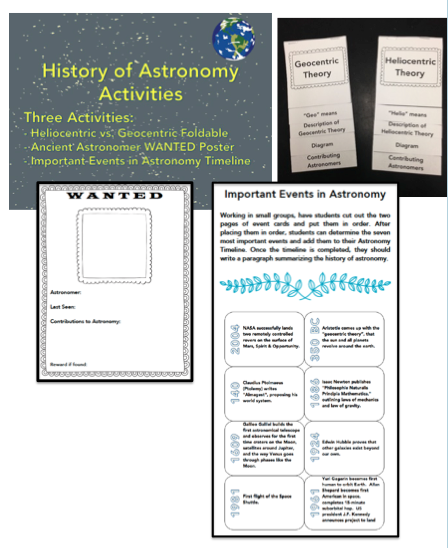 All three Astronomy activities include instructions and student handouts, in full color. Activities include instructions and student handouts, in full color. 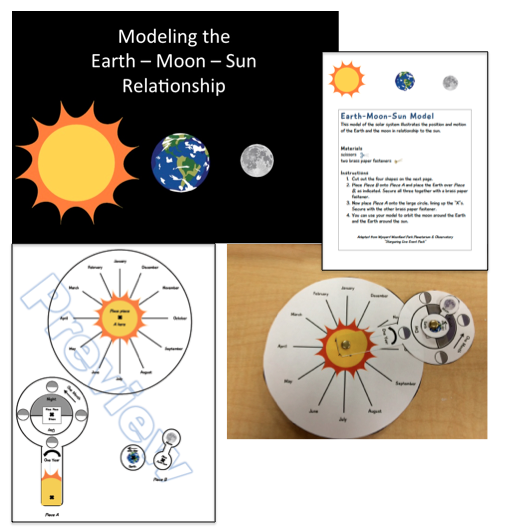 Use this hands-on model to help your students understand the Earth-Moon-Sun relationship. This hands-on manipulative works great in Interactive Science Notebooks. Students can manipulate this to show the rotation of the Earth (day), the revolution/orbit of the moon around the Earth, and the revolution/orbit of the Earth around the sun (year). This great printable prints in color, but also looks great printed black and white. are these downloads or do I have to wait for it to be mailed?